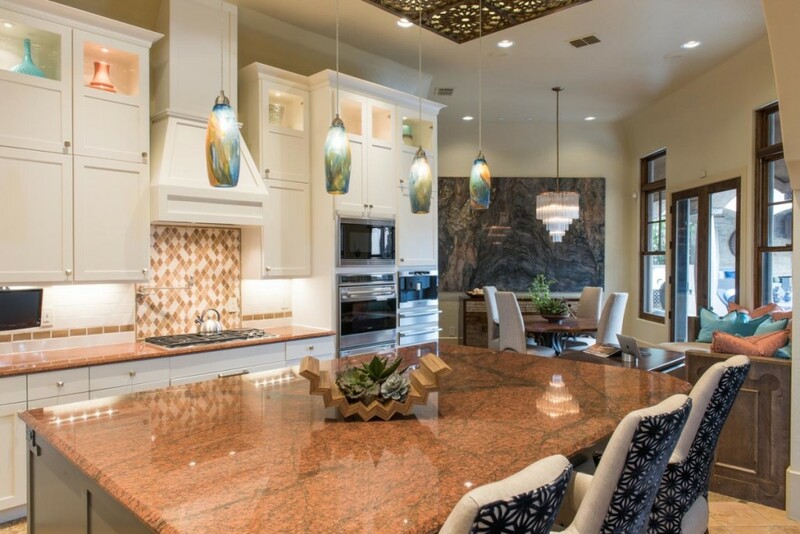 The dining room of Barbara Gilbert’s award-winning Village Park Eco Home design home in Highland Village. 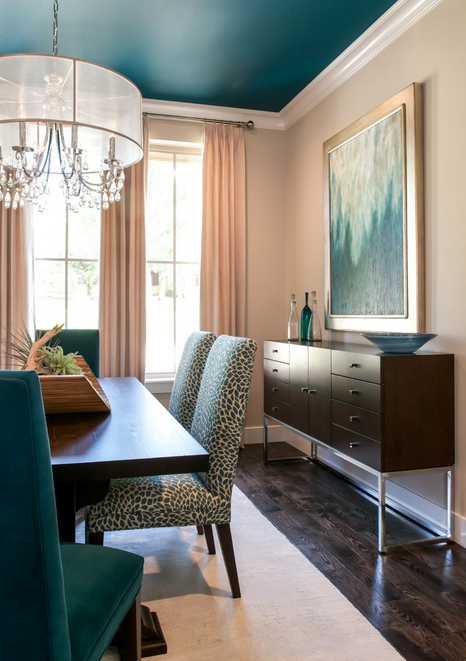 In the dining room, Gilbert selected a wall color, draperies, and rug that were neutral because of the pops of teal in the furniture, art, and ceiling. An airy and light feeling inhabits this kitchen from the white walls and white cabinets to the bamboo countertops, contemporary glass pendant lighting, and glass subway tile backsplash. 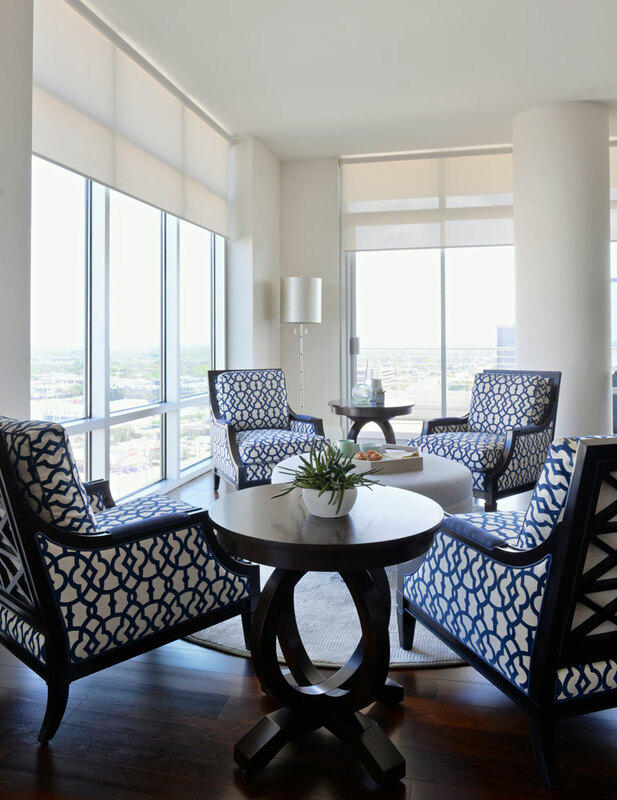 The pattern on the living room slipper chairs accentuates the hues in the throw pillows, while still standing on its own. 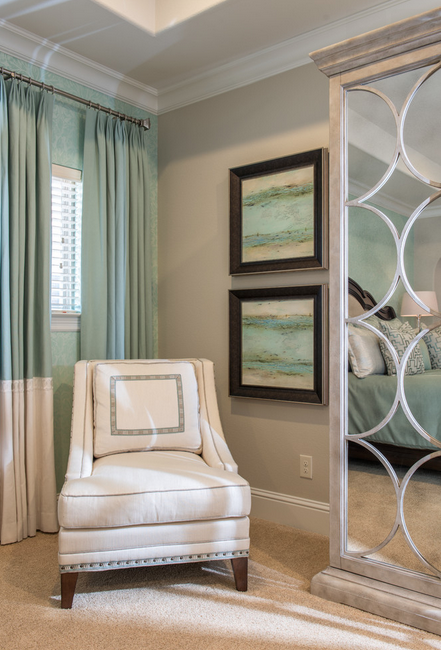 In the master bedroom, tranquility is the key feeling. The cool paint colors along with the marble bathroom and neutral furniture are spa-like, and the abstract chocolate-and-blue rug is the key element that brings all of the components together. 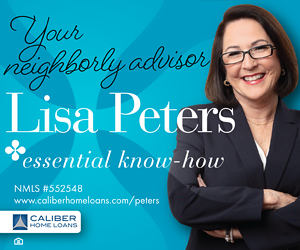 Gilbert came to interior design circuitously, spending 22 years as an insurance agent first. That background gives her an edge: “I know how to run a business and I’m very customer service oriented,” she said. Even during her time in the insurance industry, she always had creative hobbies, like knitting, China painting, and ceramics. Basically anything that had to do with color, she says. 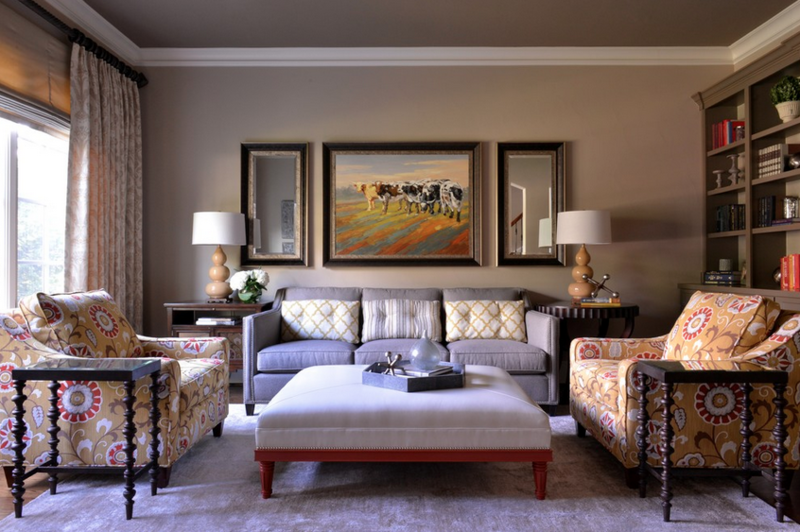 The family room design of a Westlake bachelor pad by Barbara Gilbert Interiors. 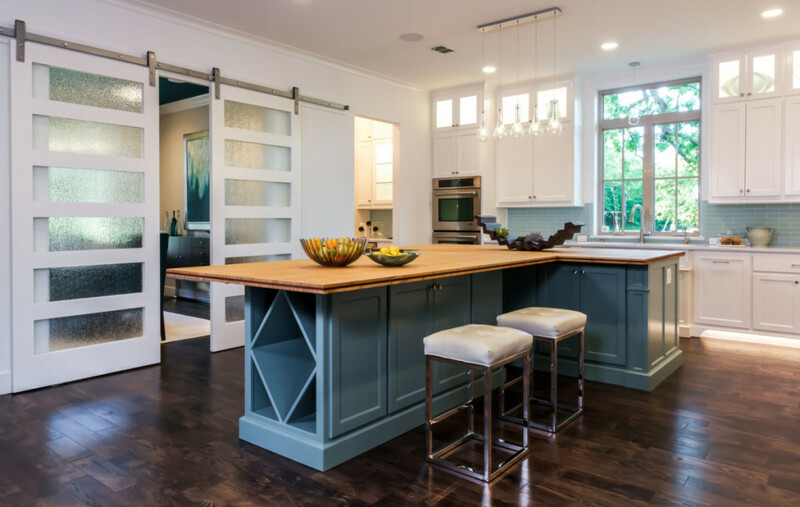 By painting the cabinets, walls, and ceiling lighter, Gilbert created a neutral backdrop for the pops of color through out this open floorplan. The fireplace was once completely tiled and the surround took away from the beautiful mosaic on the facade. Gilbert covered the checkered tile (so as to not disturb the mosaic) with a simple stone to allow the beauty of the mosaic to shine through. The kitchen once had dark wood stained cabinets, a busy tiled backsplash, and an outdated metal vent hood. Now, it’s vibrant with white simple shaker cabinets and glass uppers that allow for accent lighting. 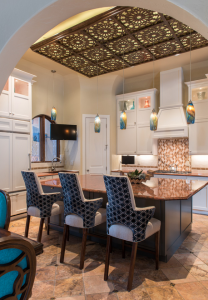 By lightening the ceiling, walls, and cabinets, the eye is now drawn to the custom-made Moroccan ceiling panel. Gilbert became a certified Dewey Color Specialist, meaning she understands how colors interact with one another, and how they affect people psychologically. “The psychological aspect of color is very important and must be taken into consideration when choosing paint colors, because it not only affects the room but also the people that occupy it,” she said. She tells a story of a recent client who homeschooled her ADHD child, and his study area was painted yellow, with a yellow-and-red painting. 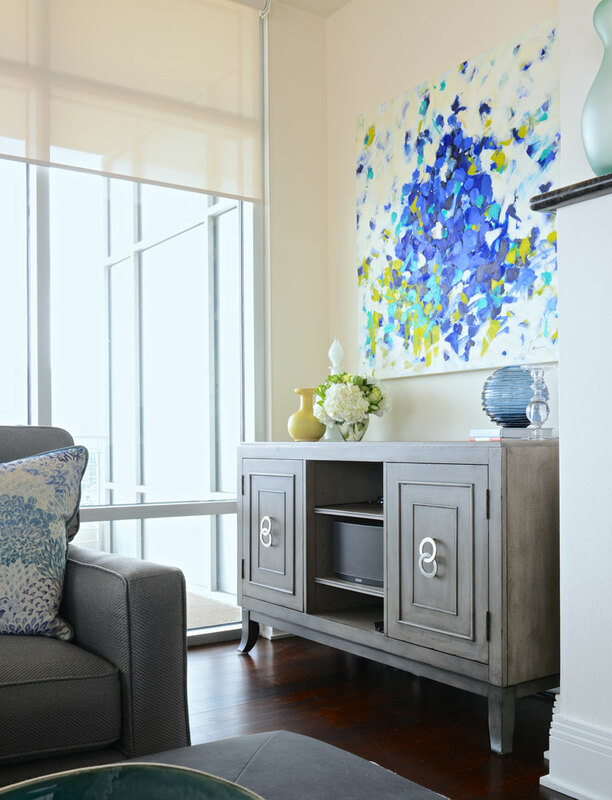 For a Dallas highrise unit redesign, Gilbert chose a contemporary media console with a distressed silver finish and interlocking ring hardware, a piece that is both elegant and functional. 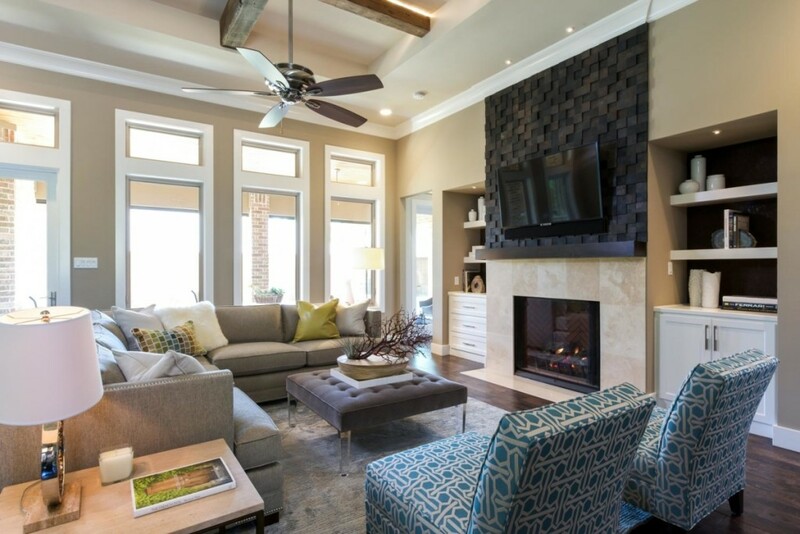 In the living area, a custom grey sectional, club chair, and coffee table/ottoman maximize seating and provide viewing of the television and warmth from the fireplace. 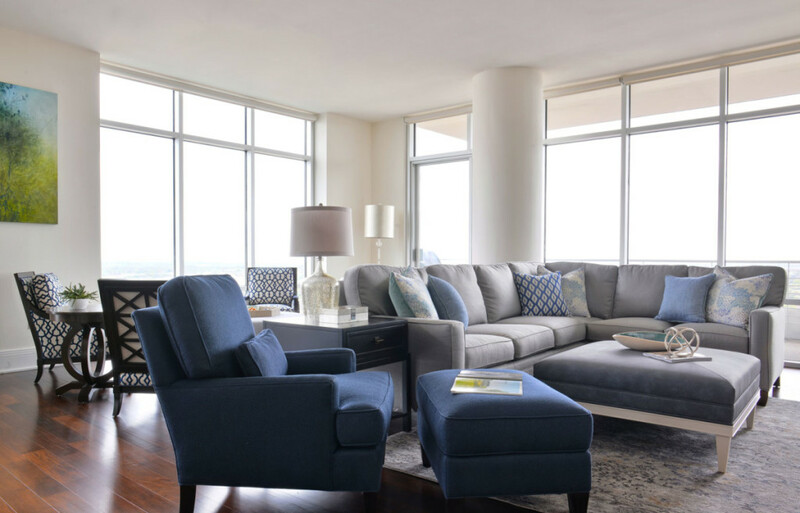 Multiple seating groups were created to bring intimacy to the open floorplan and accommodate gatherings of people. Gilbert’s Village Park Eco Home home garnered multiple industry accolades, and inspired her to become ReGreen certified. The net-zero home was built to showcase high-efficiency building at its finest, and Gilbert and her team selected the finishes and furnishings for the house, incorporating design trends and using as many natural materials as possible. Inside the Highland Village house, you’ll find cork wall covering, 150-year-old wooden beams taken from old barns, bamboo countertops, a recycled wood dining table, and recycled glass countertops. She also got to showcase her passion for good use of color. This Highland Park Library won the 2014 Legacy of Design first-place award. 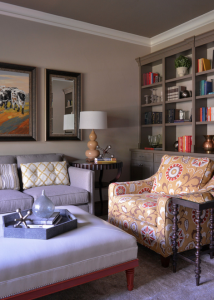 Gilbert added custom bookshelves, lined with wallpaper to lighten them up. They were painted the same color as the ceiling to help create a cozy comfortable room. One of the details that Gilbert returns to on multiple projects is LED lighting, which she calls “the wave of the future.” They are both energy efficient and beautiful. 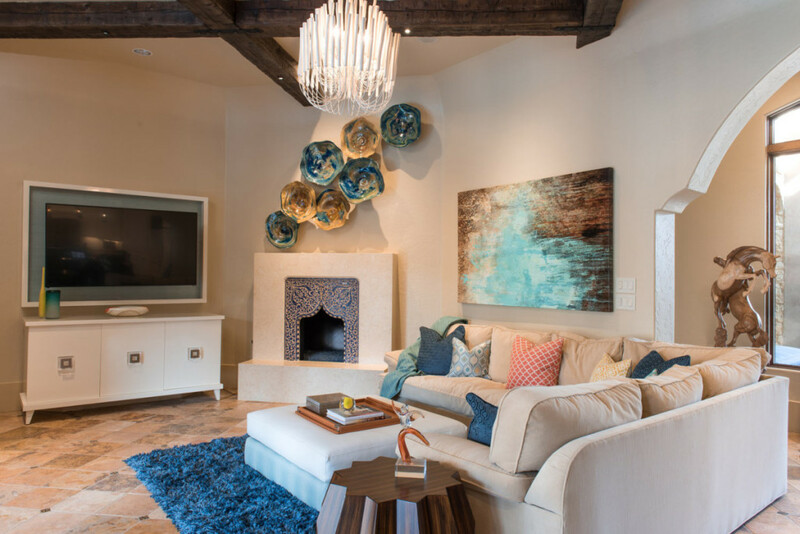 The master bedroom of a Las Colinas home designed by Gilbert. She dressed up the existing bed with custom bedding and added accents of yellow to add vibrancy to this relaxing, spa-like master suite. In order to make a small bedroom window seem more substantial, Gilbert placed drapery panels on each side to cover the edges. 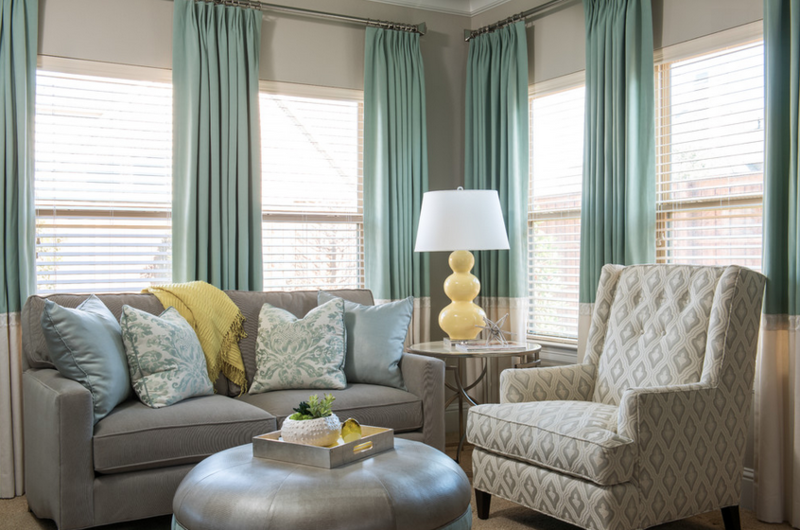 The sitting area of the master suite already had an abundance of natural sunlight from the windows, so Gilbert added custom stationary drapery panels, mostly neutral furniture pieces, and pops of yellow with the lamp and accessories. 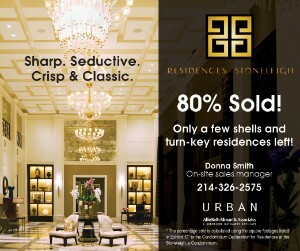 Barbara Gilbert Interiors is a highly sought after nationally known luxury Dallas interior design firm. 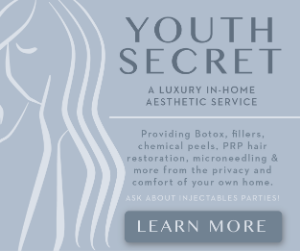 Her current roster of clients includes an array of projects. She also stays busy in the design community. 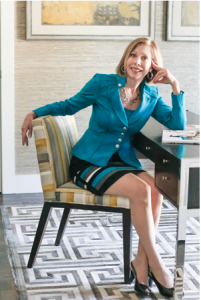 She is former president of the DFW chapter of the Interior Design Society, and currently serves on the National Board of the organization. 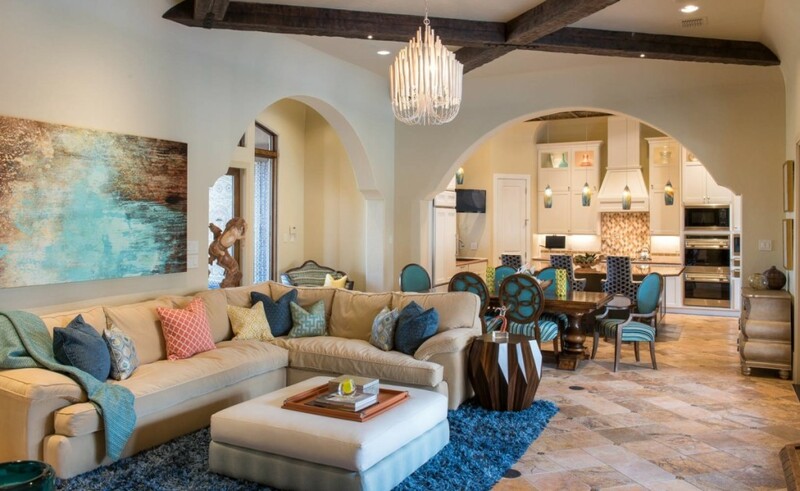 Gilbert has also served as a presenter for the 2011 Dallas Home and Garden Show and a judge of the 2011 and 2012 Habitat for Humanity Design Duels. In an alternate universe where she was not a designer, Gilbert says she would be working or volunteering for a charity that helps children have a better life. 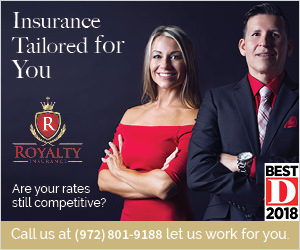 Thank you so much for writing such an wonderful article and featuring my firm in your blog. I am both honored and thrilled!